Amy was professional and generous, and made my daughter's birthday party absolutely lovely. The quality of her henna's were fantastic, and she was warm, extremely organized and so good at keeping everyone feeling well attended to. We felt so lucky to have had her. Wonderful custom designs that made everyone at the wedding laugh and love. Amazing amazing work!!!! Mehndi Moments was very professional and talented. Everyone loved getting henna tattoos. I'm very happy I hired her for my wedding. I highly recommend you hire her for your next event!! Thank you for inviting me to be a part of your celebration. It was a beautiful day, and you were a lovely couple. 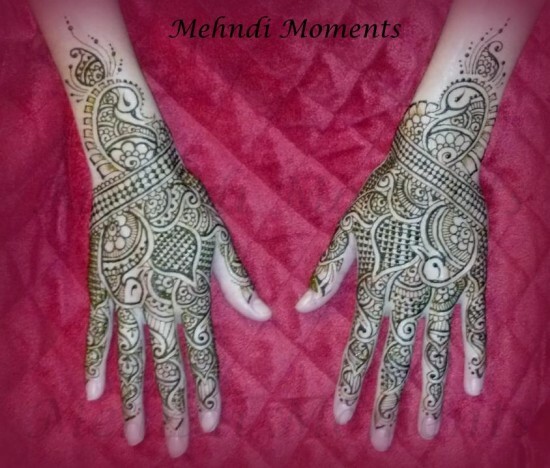 We have used Mehndi Moments for several events, and have always been impressed with Amy's artistry and professionalism. I love the confidence I have in knowing that she is using the safest products, and she takes time to help people know how to make their henna last longer. Tonight, as the event was ending, there was a woman who had wanted Henna, who didn't think there was enough time, and Amy went out of her way to make sure she got it. It's not always possible to do "just one more", when artists have back-to-back events, but tonight, Amy could, and this woman was on cloud nine! Amy handled her with such compassion and generosity, and everyone around was impressed. (Plus, it was a beautiful Henna, of course). That's amazing service! I highly recommend Mehndi Moments! Thank you so much for your thoughtful review! It is always a pleasure doing henna for A Touch Of Magic. You're professionalism and playful energy with clients is refreshing! You can expect for me to arrive a few minutes early (half hour if setting up a booth or table). After collecting payment and confirming your special requests, I'll clean your skin, and begin applying henna. Small designs take only a few minutes, while larger more detailed designs will take longer. I'll encourage you to get your henna either covered with medical tape or lightly sprayed with a sealant (which I provide) once the paste is dry. I'll tell you to leave your paste on for at least four hours and to keep it warm. Once you remove the paste, you will see a bright orange stain, which will darken over 24-48 hours. The stain range is generally brown to burgundy in color at its peak. Your henna stain will last between 1-3 weeks and will fade away as your skin exfoliates. ...and they lived happily ever after (well a few weeks at least) with beautiful mehndi designs. Amy Leinen, a professional henna artist with over eleven years of experience, will come to your location to provide your Mehndi Moments. 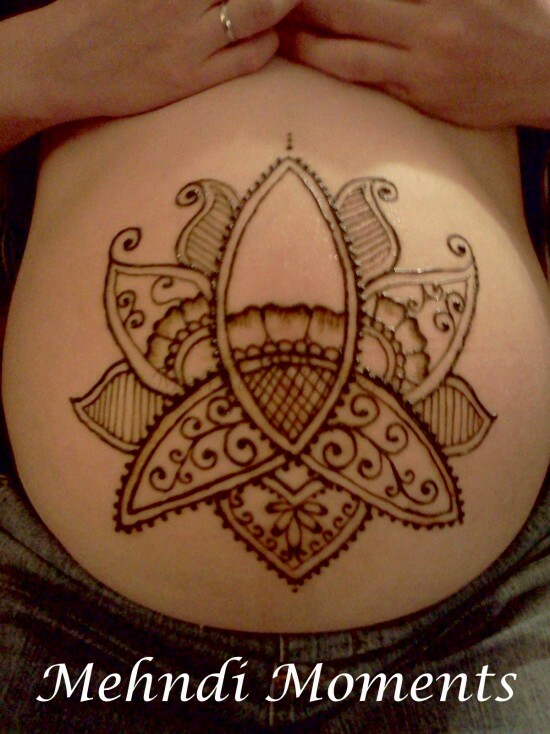 Larger events requiring multiple henna artists can be accommodated! *We do NOT use black henna (PPD). It is important that I have adequate lighting, and that the space we are in is warm (henna needs to be warm). If this is to be done in the comforts of your home, I only require a small space near whatever chair you/your guests want to sit in. I can provide a client chair (at no extra cost) at your request. If you request a booth/tent, I'll need at least 10x10 feet of space. If you request a table, I'll need around 3x8 feet of space. Educational workshops require a projector screen or at minimum a blank wall for the PowerPoint projector to be directed at. Over eleven years ago I had a henna design done on my skin, and immediately fell in love with the medium. I began researching right away, and eventually started practicing on family and friends. Soon I was hired to henna at parties, and I've been busy ever since! Good lighting is a must. Warm location is best for henna stain.